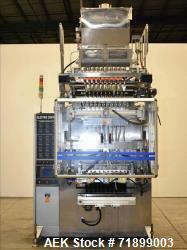 Used-Prodo-Pak Model PV 215 Filler, Serial No. 1326, Vertical Form Fill Machine with Registration, Tear notch feature, was filling cold sauce in 4 inch pouches. Includes all available spare parts. Skidded properly for shipment. 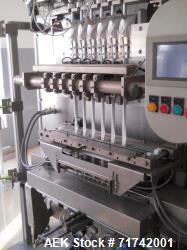 Used- Ozartas Stick Pack Powder Packaging Machine. Use- Ozartas Stick Pack Powder Packaging Machine.